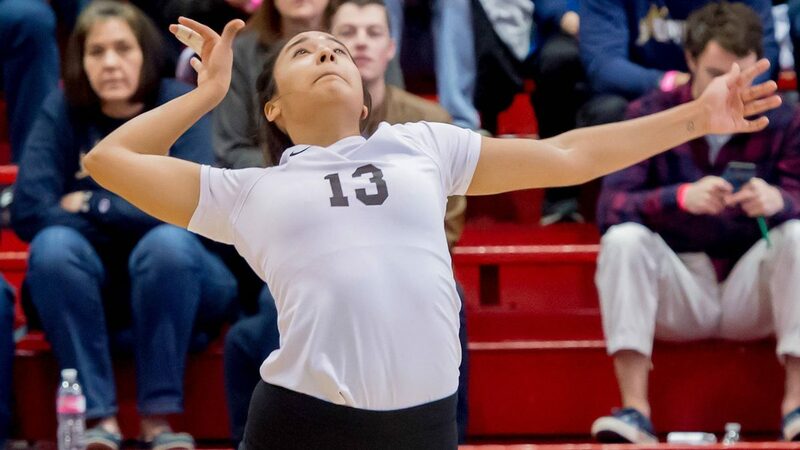 McALLEN —McAllen ISD’s three high schools — McHi, Memorial and Rowe — have produced some of the Valley’s best volleyball teams for the past several years. Last season was no exception. McAllen Memorial and McHi made it to the Region IV tournament and played in the regional semifinals before bowing out to a pair of San Antonio teams. Los Fresnos, Mission Veterans and the Sharyland schools also have done very well in recent years. But the McAllen teams are at it again this year, beating up on opponents and each other. The byproduct of that continual success? Their top players consistently have been offered opportunities to play at the collegiate level, especially Division I as of late. In fact, two former McAllen players faced each other at the DI level last weekend in New York. 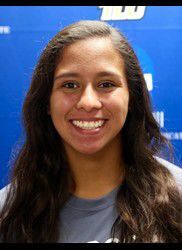 Rowe’s Mayda Garcia, an outside hitter for Fairfield University, and Memorial’s Draik Banks, a middle blocker for Niagara University, were on the court nearly 2,000 miles away from their roots in McAllen. Garcia’s Fairfield team won a marathon five-set match at Niagara to earn the conference lead over NU. Garcia had 12 kills and Banks had nine. >> MAYDA GARCIA, Rowe, Fairfield University, sophomore, 5-foot-9 outside hitter. She was recently named Metro Atlantic Conference Player of the Week. She ranks second on the team in total points (186.5) and kills (174) in 17 matches played and also has 103 digs and 17 blocks. >> DRAIK BANKS, Memorial, Niagara University, sophomore, 6-foot-1 middle blocker. She ranks third on the team in both kills (85) and points (113.5) and leads the Purple Eagles in blocks with 54. >> JULIA MONDAY, McHi, Incarnate Word, freshman, 6-foot, outside hitter. Although she’s played in just nine matches, Monday is fifth on the team in both points (55) and kills (45). >> KELLIE WOODIN, McHi, UTRGV, freshman, 5-foot-6 libero. She has in played in 15 of 16 matches and 44 of 56 sets. Tied for fourth on the team with 81 digs. The Vaqueros have won six matches in a row and big schools Ohio State, Texas Tech, BYU and Oregon are among their only losses. >> TAYLOR MARBURGER, Memorial, Baylor, freshman, 5-foot-5 defensive specialist. Making a DI roster is extremely difficult, especially at a Big 12 school like Baylor. Marburger hasn’t seen the floor much, but she joined a team with 14 returning lettermen. McHi senior Carter Helmcamp has also committed to UTRGV. She is set to graduate this fall and enroll in the spring. Mike Mendez is a Purdue University Boilermaker. The 6-foot-4, 295-pound offensive lineman has taken the field against some of the Big Ten’s best and has played in iconic stadiums like Michigan’s “Big House,” which holds more than 100,000 fans. That’s a long way from Los Fresnos, but Mendez seems to be doing just fine. Mendez left Los Fresnos and enrolled at the Indiana school early, in spring 2015. The former Falcon is a third-year sophomore and is listed as a second-team offensive lineman on the Purdue depth chart. However, he does have three career starts and has played often in a league that still values the running game — especially in cold weather. Mendez and his fellow lineman have propelled the 2-2 Boilermakers to nearly 400 yards of total offense per game, eighth-best among the Big Ten’s 14 teams. 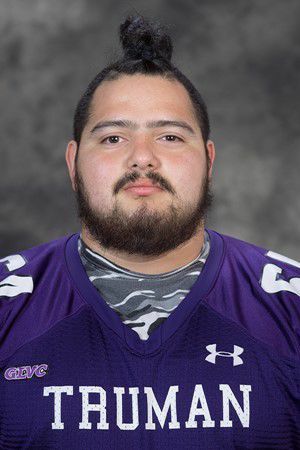 Former McAllen Memorial all-district defensive lineman Pablo Adame is finishing up his collegiate football career at Truman State University, a Division II school that was Northeast Missouri State until 1996. Adame, a 6-foot-1, 293-pound senior, has recorded tackles in three of the Bulldogs’ (1-4) five games. Adame was an honorable mention all-state selection as a senior in McAllen. Texas Lutheran freshman forward Tanya Prazelini is leading the women’s soccer team in total points and is tied for the team lead in goals scored. The 5-foot-7 Los Fresnos product, one of the Valley’s most prolific girls soccer scorers, has four goals and an assist despite starting only four of the Bulldogs’ 10 games. Prazelini has logged 463 minutes and has 13 shots on goal for 3-6-1 Texas Lutheran, an NCAA Division III school in Seguin. The freshman notched an assist in her very first game and found the net in the Bulldogs’ second game. She then struck two goals in her fourth game, against Concordia. Texas A&M-Kingsville linebacker Tommy Chavez is playing a big part in the Javelinas’ defense. The 5-foot-11, 225-pound redshirt junior is the sixth-leading tackler for the Javalinas. Through five games, the Weslaco High alum has 17 tackles (six solo), 1.5 of which have been for a loss. His best game was a five-tackle performance against Texas A&M-Commerce. Chavez, a former all-state and all-district Panther, saw action in all 12 Javelinas football games last year as a redshirt sophomore, totaling 14 tackles. The criminology major redshirted his freshman year and played sparingly as a redshirt freshman.